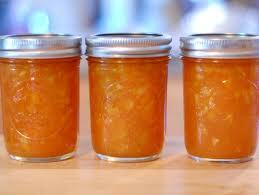 Unfortunately due to last week’s storm we had to postpone the Orange Marmalade class with Kathy Manley. Good News, we have rescheduled and there are spots available!! Kathy will demonstrate and teach you hands on how to make orange marmalade. We have delicious organic oranges from Thorpe’s Farm in Lake Wales, FL. Everything you need will be provided. Just bring an apron. You’ll go home with your own jar of amazing marmalade! Stop in, email, call (633-2830) or sign up online.